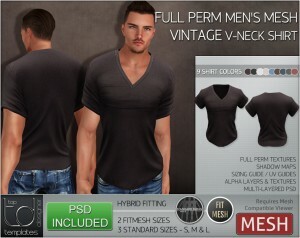 Full Perm Mens MESH Vintage V-NECK Shirts. 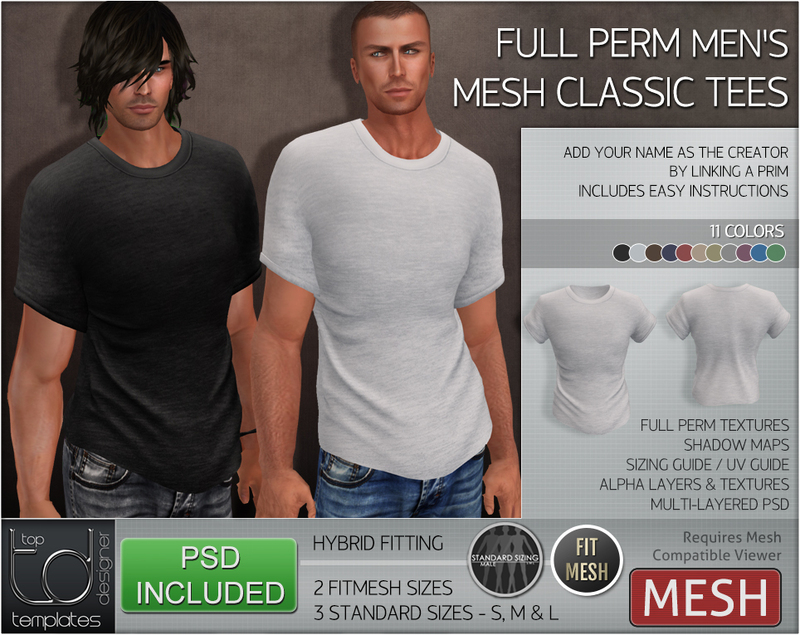 Comes with 3 Standard Sizes (S,M & L) and 2 FitMesh Sizes! 9 Colors. 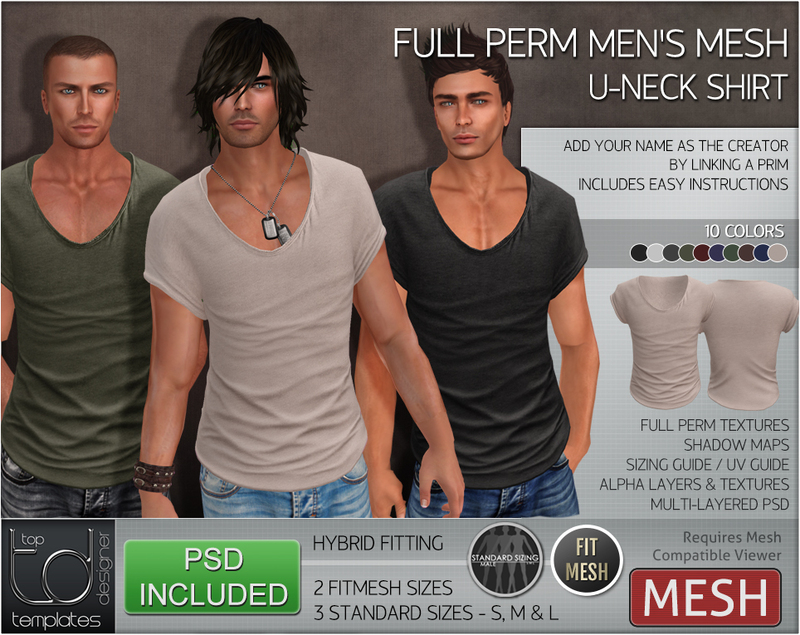 Includes Multi-Layered PSDs, Shadow Maps, & More. 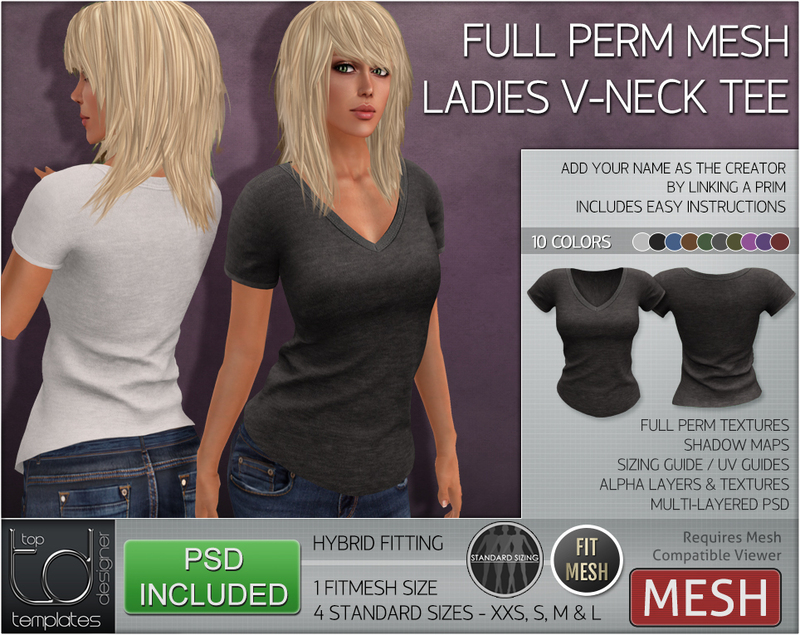 Create your own ladies v-neck tees with our new clothing template. 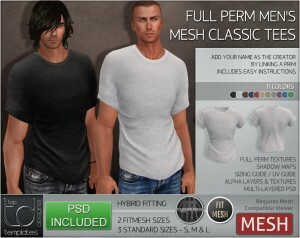 Full Perm Ladies MESH V-Neck Tee Templates with Hybrid Fitting – a combination of 4 Standard Sizes (XXS,S,M & L) and a FitMesh Size! 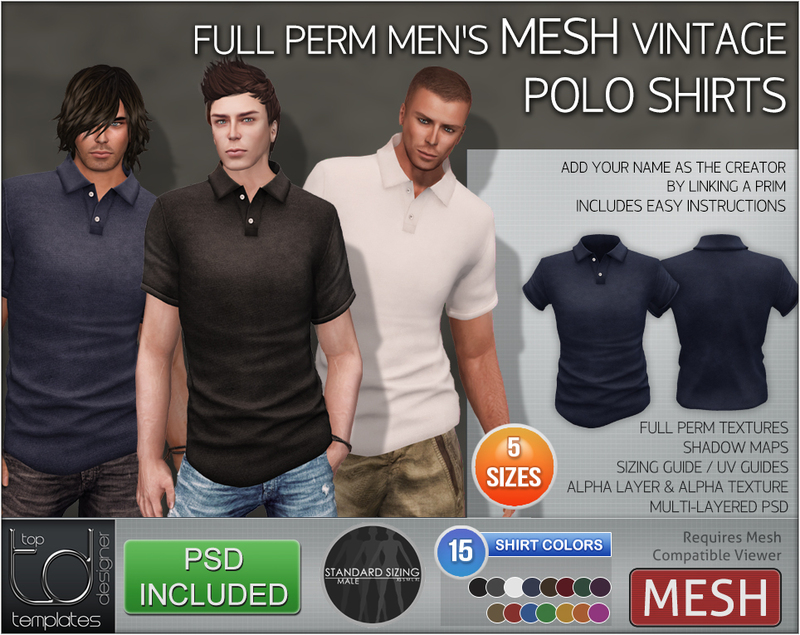 10 Shirt Colors in the pack. Includes Multi-Layered PSDs, Shadow Maps, Alpha Texture, Wearable Alpha Layer and more. 10 Colors in the pack. 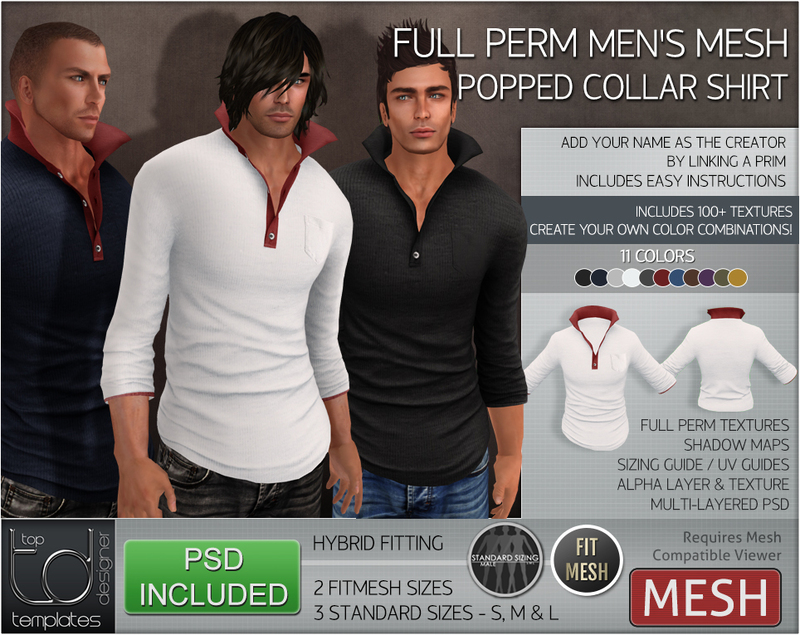 Includes Multi-Layered PSDs, Wearable Alpha Layer, Alpha Texture, Shadow Maps, UV Guides and More. Full Perm MESH Mens Vintage Tees with Realistic Professionally Modelled Creasing/Wrinkles. 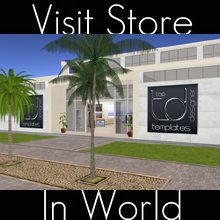 5 Standard Sizes. 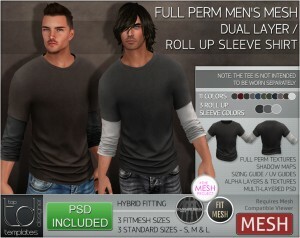 TGAs, Multi-Layered PSD included. 11 Colors.